May 14, 2017 by Filip	in Mother! 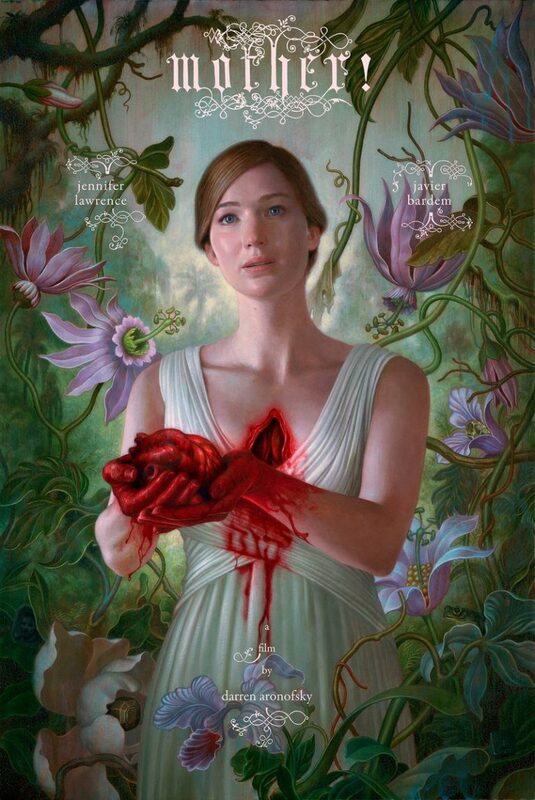 The first poster from Darren Aronofsky’s latest (and secret) project – Mother! – is here. And it has Jennifer Lawrence’s character ripping her heart out. The movie, said to be in the vein of Black Swan, stars not only Jennifer Lawrence and Javier Bardem, but Domhnall Gleeson, Michelle Pfeiffer and Kristen Wiig as well. It revolves around a couple whose relationship is tested when uninvited guests arrive at their home, disrupting their tranquil existence. Mother! opens in theaters on October 13. Stay tuned for the first trailer, see the poster below.